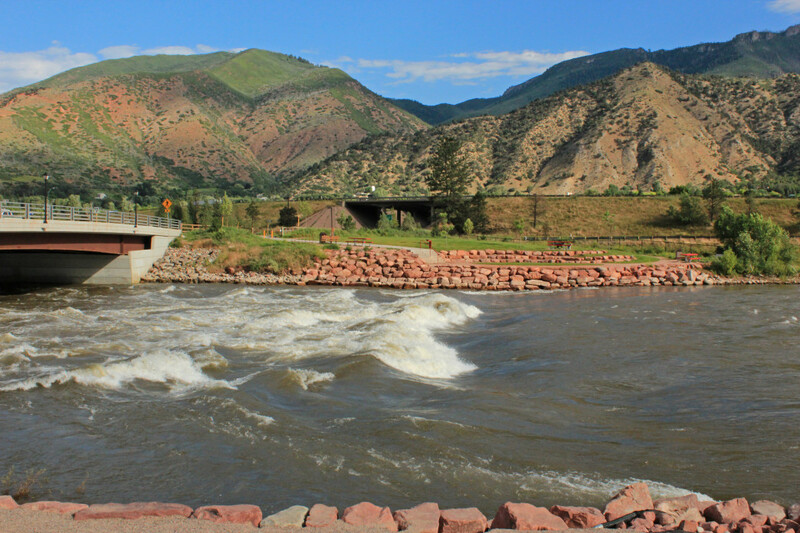 This man-made park manipulates the natural river, making for a unique wave park for all sorts of whitewater fun. 20 minutes to as long as you'd like. Aspen's rugged Roaring Fork isn't that friendly to white-water stand-up paddlers, it's more of a kayak and rafting venue, so those looking for a unique river challenge should drive 45 miles down Highway 82 to Glenwood Springs' famous wave. You can also get there from exit 114 (West Glenwood) off I-70. 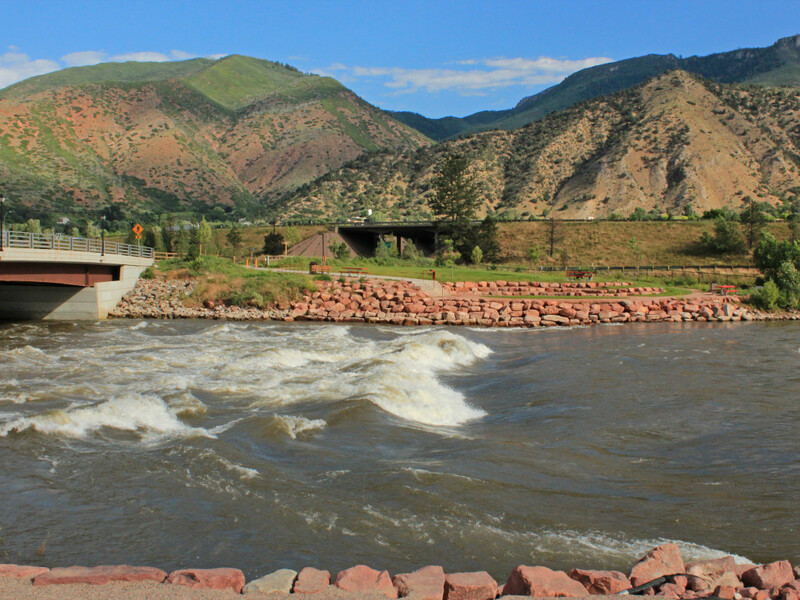 Situated in the Glenwood Springs White Water Park on the Colorado River, the "Wave" provides landlocked paddlers the chance to test their skills on a man-made river feature. 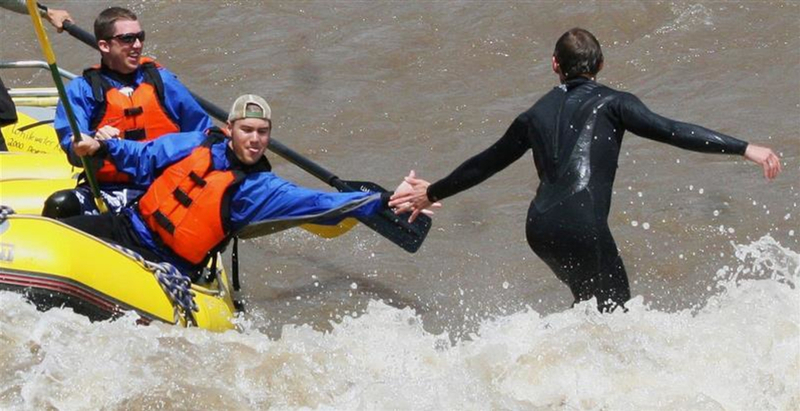 The wave is the first man-made feature of its kind on the Colorado River. You can see the Wave from Highway 82 and more often than not, a paddler or kayaker will be occupying it. You can expect a lot of spectators and fellow paddlers and kayakers as the man-made conditions make this spot a popular destination for Colorado river recreationists. Be sure to check out the Glenwood Springs White Water Park river flow guide and check in on the current conditions before getting into the water.After spending an afternoon in the brisk snow melt waters, warm up at the famous Glenwood Hot Springs Pools or thermal caves on your way back to Aspen. 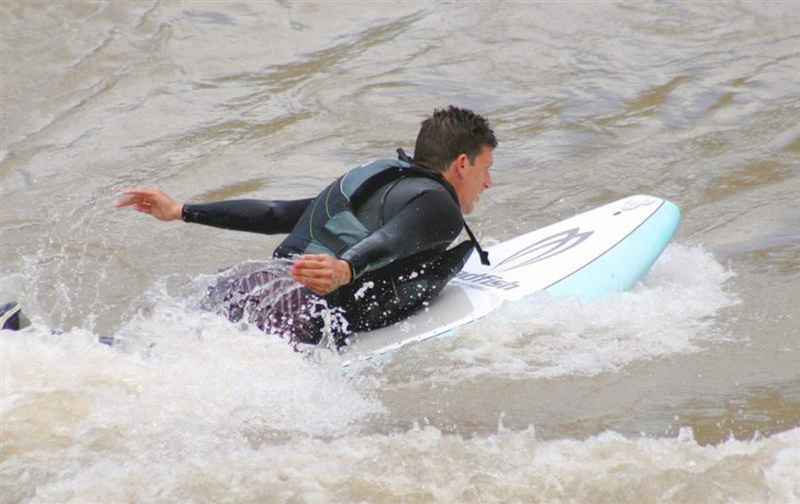 Advanced white-water paddle boarders will thoroughly enjoy the Glenwood Whitewater Park. Less experienced paddlers can explore the park, but should avoid the wave and other challenging sections. A small parking lot is available just across Devereux Avenue from the Whitewater Park, but the parking lot tends to fill up quickly especially on sunny, late spring, early summer days when conditions are prime.